Call (906) 387-2466 for reservations. Relax and Enjoy Your Stay! The Upper Peninsula MI area has a lot to offer and our North Star Hotel – Pictured Rocks puts you right in the middle of it all! We are close to many area attractions and right on the snowmobile/ATV trail. 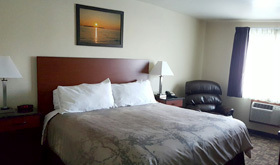 We offer a variety of room options and have everything you need to make your stay a great one. Enjoy our deluxe hot breakfast in the morning and relax in large whirlpool and sauna at the end of day. 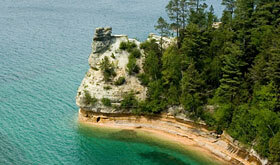 Thanks for choosing us during your visit to the Munising area! Visit our Rooms & Descriptions page for a complete list of amenities. CLEAN, COMFORTABLE & A FRIENDLY STAFF TO MAKE YOUR MUNISING VISIT A GREAT ONE! 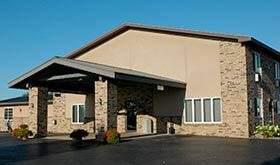 Please call us locally (906) 387-2466 for the best rates and to make a reservation. If the website reservation system shows "No Vacancy," please call the hotel directly as there still might be availability. If you'd like to book our jacuzzi suite, or any other suite, please call the hotel directly as well.